What are Mug Rigs you might ask? They are something I between the size of a coaster and a placemat intended to hold your drink and a snack. 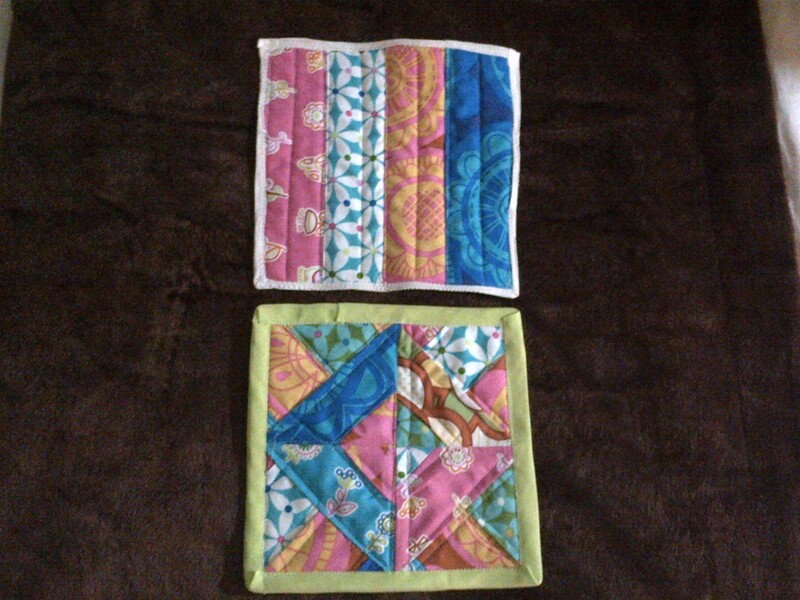 The one on top was my first effort, and I really had a hard time with the bias tape border. The second one is better I read some tutorials and used clips instead of pins. I also used 1/2 inch bias tape instead of 1//4 inch. Smarter. It's hard to get all the layers into a skinny bias tape like concealed hinges. I am going to make 2 more of these puppies and have a little set of coaster thingies. A nice way to start quilting.